Flot elegant type med et smukt hoved, harmonisk korrekt exsteriør og et super skønt temperament. Earnings + 35.000 euro, NRHA Fut. + Derby Finalist, Carolina Classic Derby Res. Champion, Congress Fut. Finalist, Bronze Trophy Champion, 65 AQHA point reining, 3 x World Show Qualified Reining etc. 21/2 AQHA point halter. 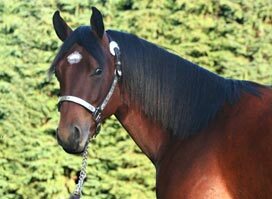 Helsøster til Dun It The Hard Way, Earnings + USD 71.000,-, NRHA World Champion, NRHA Interm. Open Champion, AQHA Sup. Reining Open + Amateur, 3 pl. AQHA Jun. Reining, 9 x World Show Qualified Reining.